Thank you for your interest in one of Jenkins & Wynne's online offerings. 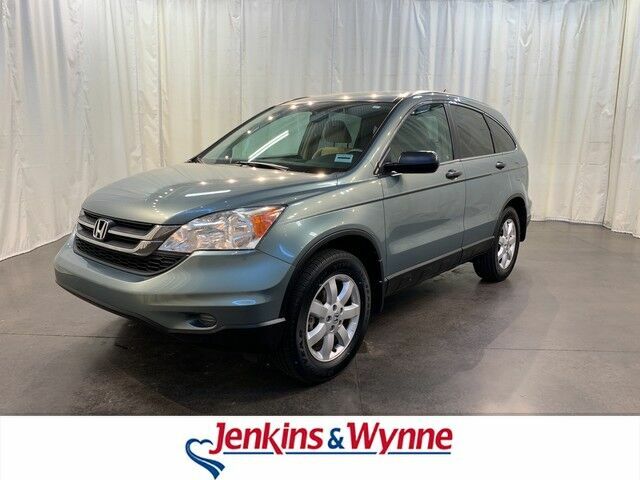 Please continue for more information regarding this 2011 Honda CR-V SE with 102,523mi. Do so much more with one vehicle. This Honda CR-V gives you everything you need an automobile to be. It's not a misprint. And the odometer isn't broken. This is a very low mileage Honda CR-V. A rare find these days. More information about the 2011 Honda CR-V: The CR-V offers car-like performance and crossover cargo and passenger flexibility. The 2011 Honda CR-V is one of the roomiest, most versatile vehicles in its class and qualifies as a good alternative to a minivan for growing families. Safety features are well-represented, and it stands as offering some of the best occupant protection in its class. The CR-V also doesn't let shoppers down as a minivan alternative, offering a configuration that's great for growing families, with plenty of thoughtful, cargo-friendly touches. Strengths of this model include ride quality, resale value, class-leading safety, cargo versatility, carlike handling, and Very roomy interior Although every reasonable effort has been made to ensure the accuracy of the information contained on this window sticker, absolute accuracy cannot be guaranteed. Vehicle information is based off standard equipment and may vary from vehicle to vehicle. The prices are subject to change. Price does not include applicable tax, title, license, and doc fee. You are looking at a beautiful 2011 Honda CR-V Limited Edition. This stunner comes equipped with a CD player, anti-theft system and MAX A/C. Hurry in before this charmer is gone!